Your favorite Pocono’s ice cream and food stand is open and under new management - Jimmy’s Ice Cream! . If you are just discovering Gabel’s, we’re proud to tell you that we’ve been serving ice cream in the same great location for more than 50 years. We’re the kind of ice cream stand you remember coming to as a kid, serving soft and hard ice cream, sundaes, shakes and other special treats. We also have a limited menu of burgers, hot dogs, sandwiches, wraps and baskets. We're easy to find on Route 611 in Tannersville, just south of The Crossings outlet stores and Camelback Ski Area / Camelbeach Waterpark. Across the street from Odd-lot Outlet! From Interstate 80 west of Stroudsburg (either eastbound or westbound) take Exit 299 Tannersville. Turn right on Route 715, then right on Route 611 South. We're just a half mile south. Gabel’s Ice Cream is now owned and operated by Jimmy of Jimmy’s Ice Cream. 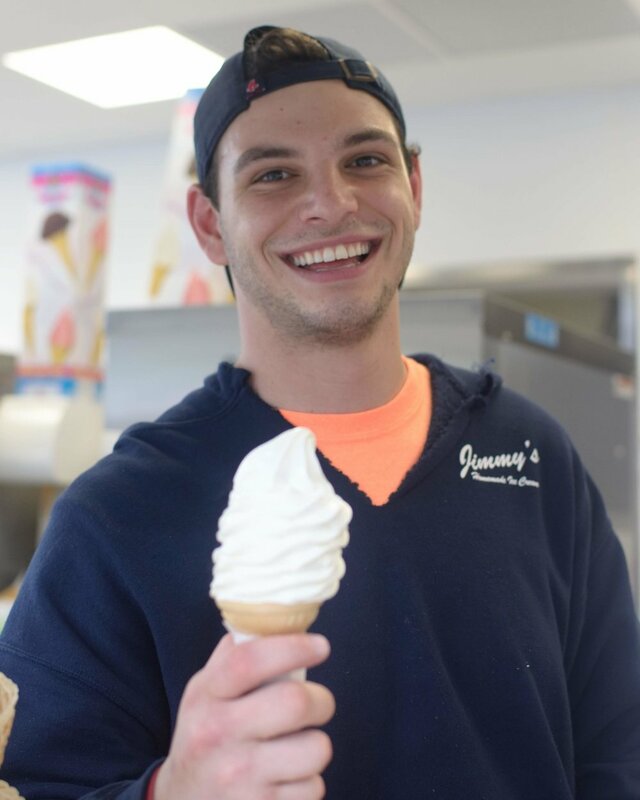 Jimmy started his ice cream career to spread smiles in the Pocono Mountains. His father (Jimmy Senior) gave him the recipes and away Jimmy went making and selling ice cream in Stroudsburg, East Stroudsburg (under the name Jimmy’s Ice Cream) and now Tannersville with the Gabel’s name and location. Jimmy is keeping the Gabel’s name because of the history and old world charm the name and facility offers. After the purchase, Jimmy completed renovated the charming location, cleaning and making sure his customers could see in the window to both see the food cooked and the ice cream be prepared. Jimmy’s ice cream is voted as one of the top ten ice creams in Pennsylvania. Stop by and enjoy the smiles. PROUDLY SERVING AND MANAGED BY JIMMY'S ICE CREAM! Add Fries & A Soda To Any Meal for $3.95 | Free Drink Refills!